The Line By K's founder, Karla Deras, creates clothing that is anything but boring - she chooses the finest materials that beautifully accentuate the female form. 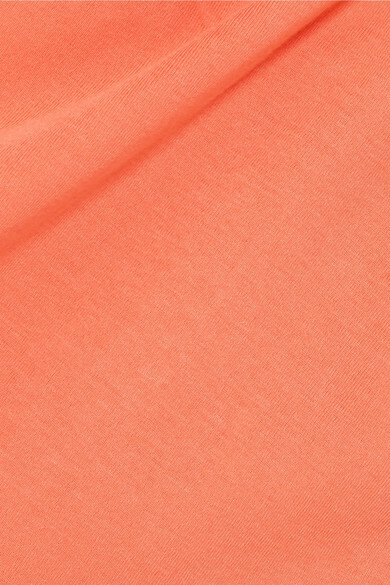 This one-shoulder 'James' top is made from soft cotton-jersey in a fresh orange hue. The body-hugging fit makes it so easy to tuck into jeans and pants. 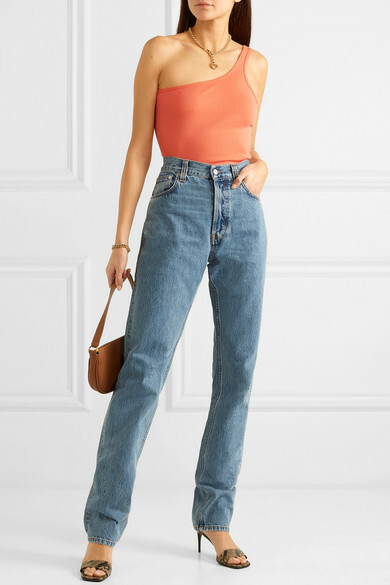 Shown here with: Helmut Lang Jeans, BY FAR Shoulder bag, Stella McCartney Mules, Laura Lombardi Necklace, Laura Lombardi Bracelet, Laura Lombardi Ring.